How to Add, Edit or Delete an Email address (POP3 / IMAP)? 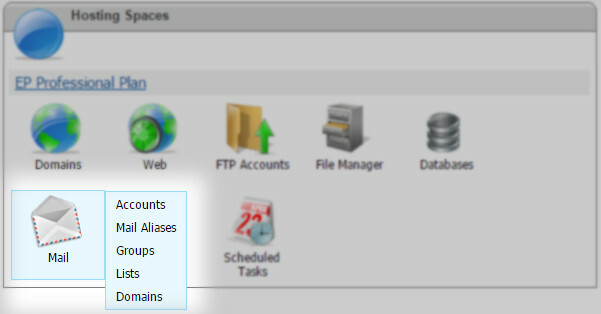 Adding, Editing or Deleting emails whether they are POP3 or IMAP can be done easily through the EPhost WINDOWS HOSTING PLANS. To add, edit or delete an email account, you will need to login to your Control Panel using the information provided to you in your Welcome Email. If you no longer have the login information, please send an email to support@ephost.com requesting a copy of your Welcome Email. POP3/IMAP: This type of email account is a normal email account that you can use to store, send and receive email. IMAP users, even though this feature is noted as POP3 you would use this to add a IMAP account as well. Simply setup the account as IMAP in your email client. Email Alias Email: This type of email account allows to to create an email account that forwards to another email account. e.g. "sales@your_domain.com" would forward to "you@some_domain.com." Group: Group email addresses are just like Email Alias addresses in that they forward to another email account. The only difference, is that you can specify one or more email addresses in which to forward the message. e.g. You could make "sales@your_domain.com" would forward to "you@some_domain.com" AND "coworkeer@some_domain.com." 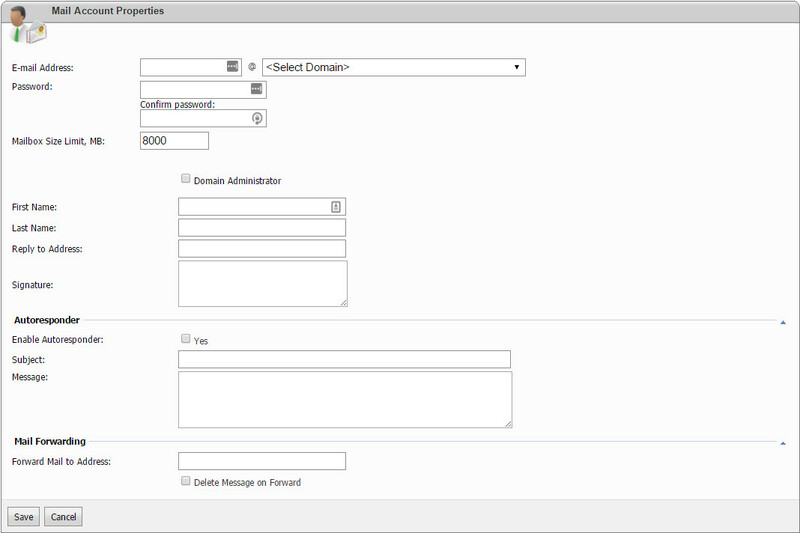 The procedure for creating a new POP3/IMAP, Email Alias or Group is the same. Start by clicking on the icon for the particular type of email account you want. Click on the Control Panel button for that hosting plan. You will be logged into the Control Panel automatically. Please Note: Email account names should be unique. e.g. If you have a POP3 account called "joe@ephost.com" you would not be able to add a Email Alias or Group email address with the same name.